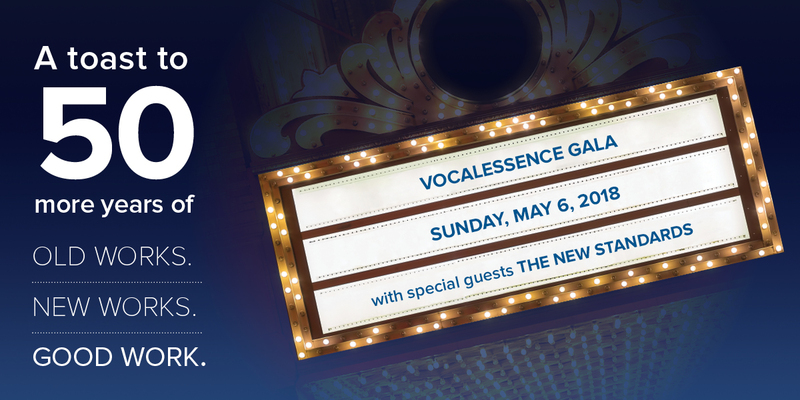 Join The New Standards and VocalEssence (the choir that Mick Jagger says “sings magnificently”) to give back to our community at the VocalEssence Gala 2018 on Sunday, May 6, 2018 at the Hilton in downtown Minneapolis. There are two ticket options to attend this event – a $200 single ticket or an $85 Access ticket. For more information about the $200 single ticket, click here. The $85 Access Ticket gives you full access to experience the splendor of the gala and the exclusive performances at a lower cost, while still being able to make a tax-deductible contribution to support VocalEssence Community Programs. Access Ticket guests are invited to participate in the Silent Auction Reception beginning at 4:30 PM. The reception will include silent auction items, a wine raffle, a photo booth, social media wall, and live entertainment. At 6 PM, Access Ticket guests will be seated at tables of 6 at the rear and side of the main ballroom. This ticket includes passed wine, hors d’oeuvres, and a full dessert (no dinner is included). Access Ticket guests get to experience and sing along with the fantastic entertainment provided by the VocalEssence Chorus and Singers Of This Age (SOTA), joined by special guests, The New Standards.